Very friendly and helpful customer service! Booked dinner and a show for a bachelorette party over the weekend. Very easy to work with and very accommodating. Would highly recommend. Thanks for everything! I highly recommend Vegas Girls Night Out. I just got back from Vegas and we had such a blast. Jill was so easy to work with and made planning my bachelorette so easy. From limo transfers, to arranging the pole dancing, dinner and of course the Thunder From Down Under. It was so affordable for everyone but the experience was priceless. If you or someone you know is planning a bachelorette in Vegas, this should be your first call/email! Thanks ladies!! Awesome for any age! The best Vegas Night Out experience ever! Even for 50 Somethings! 5 star all the way. We used this service from a local friend’s recommendation to book our single gals activities, and it was well worth it! I had no idea how beneficial the club passes would be until you find out that everything in Vegas costs a premium. The Pole dancing class I was talked into, turns out it’s a workout as well as a ton of laughs, I am sexier than I realized. My favorite by far was Thunder From Down Under, these guys are the real deal – even better than the Canadian Ballet we enjoy popping up to over the bridge to Ontario here in Western NY!!! I can’t imagine booking another trip without their customer service! We were part of a bachelorette party and had the best time! We started at Thunder Down Under and loved laughing and looking at all of the hunky men. Then, a limo picked us up and we were immediately partying it up with the complimentary champagne and music. Michelé, our driver, was so sweet and took amazing care of us. She was very on top of things and helped us through the process of getting professional photos at the Vegas sign (so cute!) and making sure we were all safe and well taken care of. For the last part of the night, Michelé took us to the Bellagio where we had free entry and TONS of drink cards at the club, Hyde. It was crazy fun in there, and it made all the difference that we were treated like MVPs – skipping to the front of the line, getting all the drinks we possibly wanted, and more. Couldn’t have asked for a more fun bachelorette party night in Vegas, all thanks to Vegas Girls Night Out! Awesome weekend! 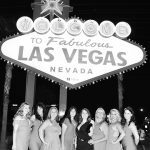 Dinner, table service, drinks at the best nightclubs in Vegas… A must if you want to have a great time in Las Vegas Ladies!!! Ordered my TFDU and a limo to the show through Vegas GNO and highly recommend to all! The limo to the show was FANTASTIC! Such a blast and great way to kick off the night! Everything from the booking process to the partying in the club was seamless and fun. We started off at Thunder from Down Under. This is a show you want to see! Also, get the jello shots from the bar, they are yummy and strong. Then we were picked up from the Excalibur by a limo complete with champagne, and a great limo driver! We got to stop and take photos at the Vegas sign which turned out great! We then went to Hyde nightclub in the Bellagio. When we arrived, I called our corresponding promoter and he took us to the front of the line, handed us more drink tickets then we could have imagined and we went right in! We couldn’t have asked for a better bachelorette party. Thanks Vegas Girls Night Out!